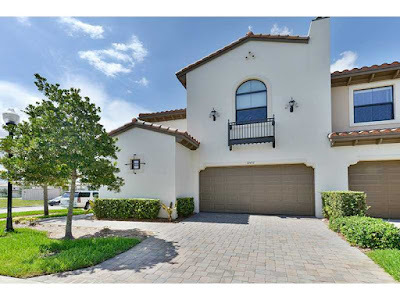 This luxury resort style town home is tucked into a corner of the Artesia development in Sunrise, Florida. This four bedroom, three full bathroom and one half bathroom home is spread out generously over almost two thousand square feet. The home boasts high impact glass on all doors and windows. The chef's dream kitchen has sleek granite counter tops, a full suite of stainless steel appliances and custom wooden cabinetry. The main areas of the house are tiled diagonally. The master bedroom features a over sized roman soaking tub and separate glass enclosed shower. This is a very spacious townhouse on a beautiful lot! Residents of Artesia have top of the line amenities including three swimming pools, fitness center, hot tub, tennis courts, clubhouse with business center, indoor basketball court, computer room, and billiards. This development is located with in a short distance to world class shopping, dining, and entertainment at nearby Los Olas Boulevard and Galleria Shopping Center. The Fort Lauderdale International Airport is only a short drive from Artesia making travel plans very easy to complete.